Iran's new President Hassan Rohani put his words into action when he chose a woman to be his new vice president for legal affairs. Rohani, who promised to create more jobs for women and allow Iranian women to have a greater say in their country, appointed Elham Aminzadeh, a former member of parliament, this week. Aminzadeh teaches at Allameh Tabatabaei University in Tehran and holds a doctorate in International Law from the University of Glasgow. In his appointment letter Rohani praised Aminzadeh saying that her "scientific competence and judicial qualifications as well as legislative experience and moral merits" made her particularly qualified for the post. Rohani had been criticized by some activists for his appointment of an all-male cabinet after campaign promises to up the inclusion of women. 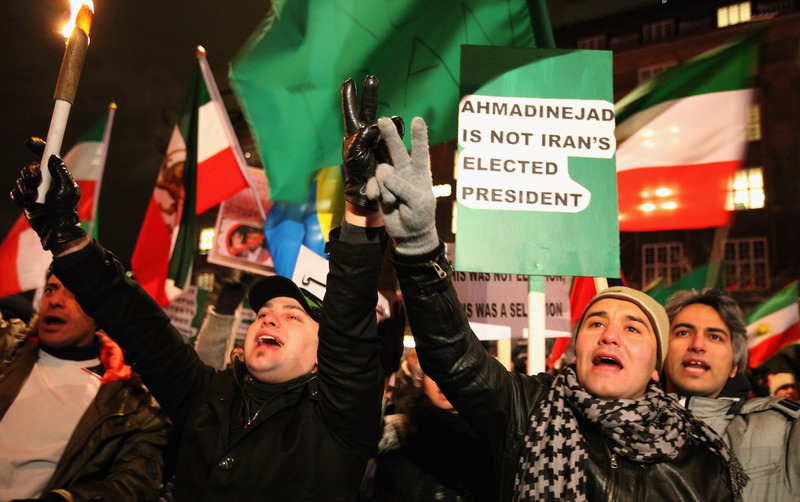 The topic is a particularly important one as the country transitions to new leadership after the defeat of longtime leader Mahmoud Ahmadinejad. Ahmadinejad was accused of contributing to the oppression of women in his country by sanctioning increased police patrols and the use of force to ensure that women's bodies were fully covered. While this step marks the potential fulfillment of campaign promises, it is not the first time a woman has held the post in Iran. President Mohammad Khatami, who led the country from 1997 through 2005 was responsible for appointing the first female vice president.